Every day here at TheAppWhisperer.com we trawl through the many new app and update announcments we receive to find our app of the day choice for our readers. 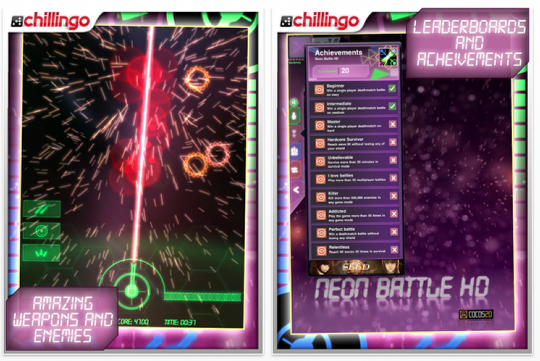 Today, this accolade goes to Chillingo for their updated app, Neon Battle HD. The update includes the facility to play on both iPhone and iPad, it also includes all new game modes and advanced tutorials. 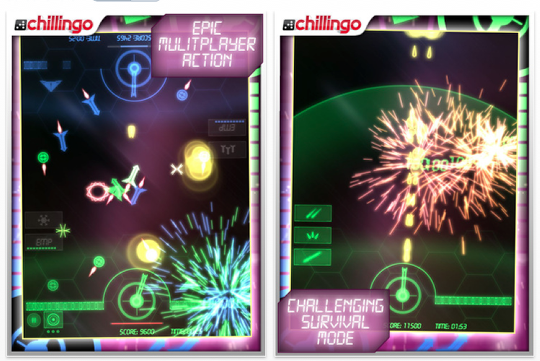 To celebrate, Chillingo are dropping the price to just $.99 for this weekend! 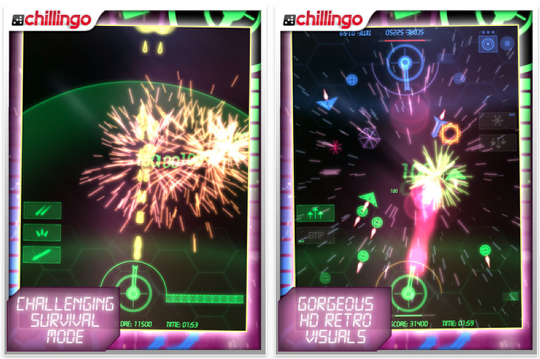 As our App Of The Day a YouTube video of the game will play at the bottom of every page of our site for the entire day. Scroll down to the bottom of this page and you will see it.